This edition of MRM's News Bites features CAVA Group and Zoe’s Kitchen, Craveable Hospitality Group, Andrew Zimmern along with Michael McDermott and Jason Merritt of McDermott Restaurant Group, Williston Holding Company, Shake Shack, sbe and Blue Road, Original ChopShop and Consolidated Concepts, SOCi, Liberated Specialty Foods Inc., 7shifts and Lightspeed, Cardlytics, Ocean Prime, Hard Rock International, DoorDash and Taco Bell. CAVA Group Inc. completed its acquisition of Zoe’s Kitchen, Inc.. Thursday, November 22 will be the first day of operations for the combined company.Zoës Kitchen shareholders received $12.75 per share in an all-cash transaction valued at approximately $300 million, as was originally announced on August 16, 2018. 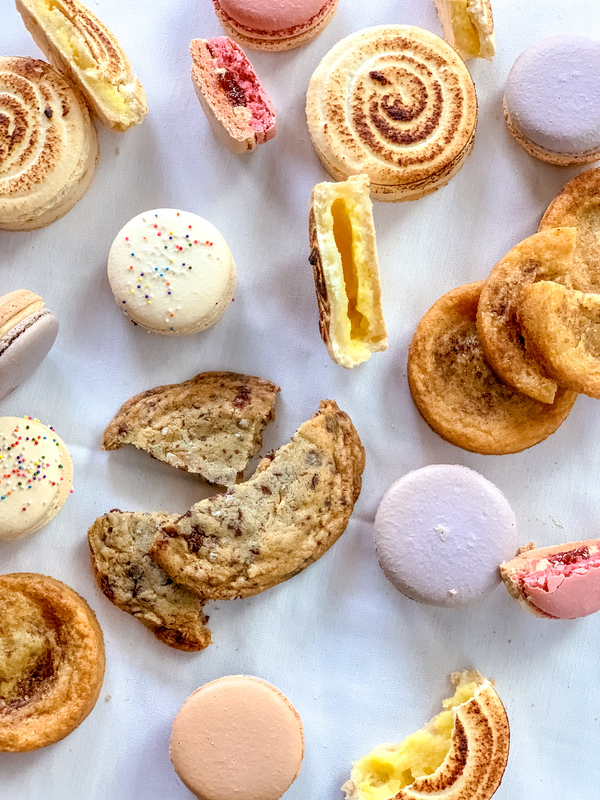 The acquisition will bring Zoës Kitchen into the private market, following a four-year run as a publicly traded entity. As a combined company, CAVA will be the first omni-channel platform in the fast-casual space that leverages two unique service models and their rapidly growing digital and app-based sales channels, a line of chef-crafted dips and spreads that can be found in more than 250 Whole Foods Markets nationwide, and relationships with delivery service providers to truly meet guest demand no matter where, how, or when they want their meal. The combined company will also position the CAVA brand to be the leading authority in Mediterranean culinary in the United States – with a workforce of more than 8,000 team members across 24 states. While Washington D.C. will serve as headquarters for the combined company, CAVA will maintain a meaningful presence in Plano, Texas – home to Zoës Kitchen. The Zoës Kitchen brand will remain in-tact for the foreseeable future. Brett Schulman will serve as Chief Executive Officer of the combined company and today Kevin Miles will be completing his tenure as CEO of Zoës Kitchen. Kevin Miles started with Zoës Kitchen in 2009. Under his leadership, Miles grew the privately held restaurant chain from 21 locations in 7 states and approximately $24 million in annual revenue to a public company with 268 locations in 20 states and approximately $340 million of annual revenue. Revolution Hall, a multifaceted culinary marketplace showcasing a variety of concepts under one roof, opened in Rosedale Center, Roseville, Minnesota. Craveable Hospitality Group (CHG) and Craveable Markets USA bring concepts ranging from fine-casual restaurants to artisanal products. The eleven dining options within Revolution Hall, created collaboratively by CHG Vice President of Culinary Matt O’Neill and Pastry Director Zac Young range from concepts with proven success at other CHG venues to restaurants created especially for the Revolution Hall guest. They include Angry Taco, Handwich Shop, Caputo Pizzeria, Barrel Bar, SaltBrick Burger, PieCaken Bakeshop, Oceantail Sushi & Sake Bar, Honeycomb Chicken & Waffle, Field Greens, Canal Street Noodle Co., and Steel Tree Coffee. Designed by Glen & Co Architecture, Revolution Hall also features art installations by a crew of local artists led by muralist Lili Payne. Andrew Zimmern, Michael McDermott and Jason Merritt of McDermott Restaurant Group opened Lucky Cricket at 1607 West End Blvd, St Louis Park, Minnesota. 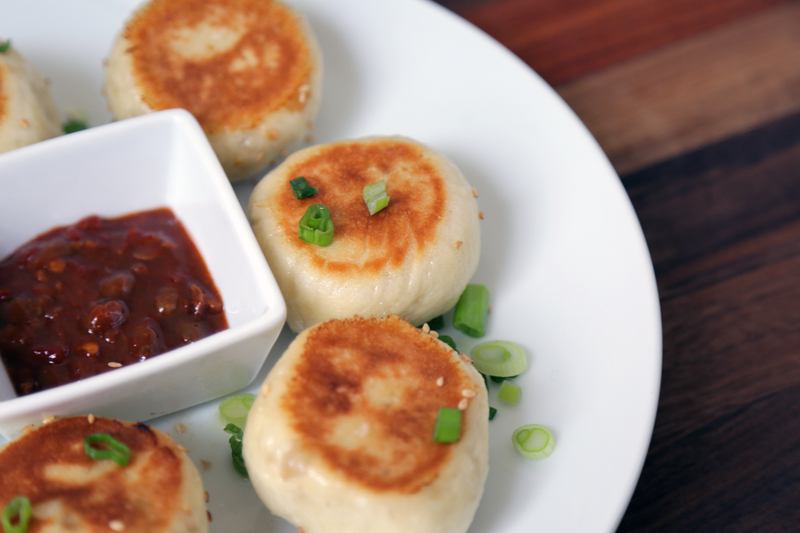 The restaurant transplants Zimmern's favorite Chinese foods to his home base of Minneapolis. The full-service 200-seat dining concept, with a menu composed of small plates and sharable dishes from several Chinese provinces, was developed by Zimmern with McDermott (Partner/President and CEO, McDermott Restaurant Group) and Merritt (Partner and COO, McDermott Restaurant Group), who separately created and operated concepts such as Kona Grill and Rojo Mexican Grill. The restaurant will be the first of several Lucky Cricket locations across the country. "Opening this restaurant has always been a dream," said Zimmern, "My life's work has always been about exposing people to different cultures through food, so my goal with Lucky Cricket to take guests on a journey and showcase the authentic flavors of the Chinese foods that I love." McDermott and Merritt added, "We are so excited to bring this concept to Minnesota and to partner with Andrew. This concept has so much growth potential and we are eager to see where it can go." Inspired by his extensive travels in China over the last 25 years (some seen on his hit shows like Travel Channel's "Bizarre Foods"), Zimmern along with Chef Consultant Alex Ong and JP Samuelson(Culinary Director of Passport Hospitality, Zimmern's restaurant and food retail development company), created a menu for Lucky Cricket that offers a sampling of small plates and shareable dishes from provinces such as Guangdong, Fujian, Hunan, Shandong, Guangzhou and Sichuan. Signature Dim Sum includes Sheng Jian Bao, Duck Shu Mai, Sticky Rice in Lotus Leaf and Braised Pork Ribs. 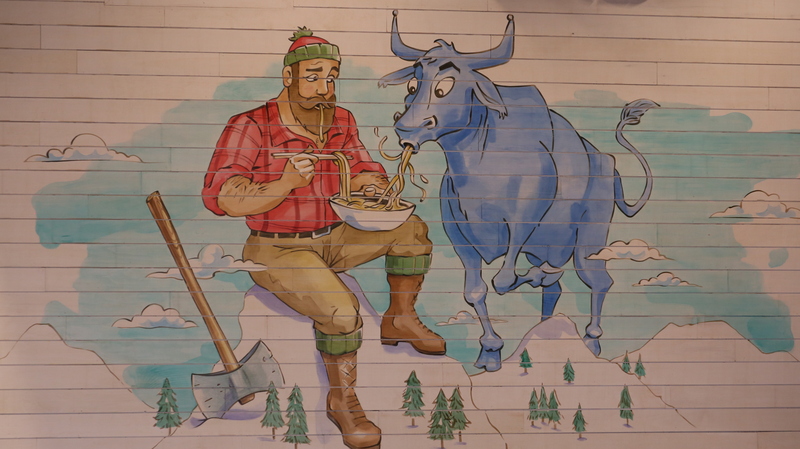 Soup options include Roasted Duck Congee and Mak's Shrimp Wonton Soup, and diners may also enjoy noodle dishes such as Dan Dan Noodles, Cold Sesame Peanut Noodles and Hand Pulled Xian Cumin Lamb Noodles. Shareable plates that offer heartier fare include Hong Kong Waffles with Shanghai Fried Chicken, Char Sui BBQ Pork, and Whole Steamed Fish. Signature desserts include Lychee-Coconut Snow, Sticky Rice with Mango and a Hong Kong Waffle. Inspired by Zimmern's family connections to Trader Vic's founder Vic Bergeron and his memories of years spent at the famed New York bar, Lucky Cricket's beverage program is a colorful tiki bar, top photo. Designed by Dean Hurst, an award-winning mixologist known for his work as Spirits Coordinator for the annual Hukilau Tiki Convention and consulting roles with restaurants such as Bern's Steakhouse and The Bedford, Lucky Cricket's ode evokes the cheerful, escapist aesthetic of the traditional tiki bar with a drinks menu that features tropical drinks and Asian-inspired cocktails. Served in traditional drinkware from Tiki Farm, the classic drinks were selected for their unique combination of flavors and aim to mostly stay true to the original recipes with just a few Asian-influenced twists. Signature cocktails include Mai Tai, Three Dots and a Dash, Mr. Bali Hai, Saturn and Luck's Path. Lucky Cricket's beverage program includes an extensive rum collection with 40 different varieties, an assortment of spirits made locally in Minnesota, and a comprehensive wine and beer list. For the design of the 200-seat dining concept, Zimmern worked with David Shea and Tanya Spaulding of Shea Design, an award-winning Minneapolis-based architecture and design firm experienced in designing high profile restaurant concepts (Spoon & Stable, Rosa Mexicano). Influenced by Asian street food culture, Lucky Cricket's design incorporates found items, a vibrant palette and an eclectic mix of furnishings to create layers, textures, unique focal points and a fun aesthetic. In addition to the main dining room, the restaurant also has a patio and storefront, tiki bar and private dining rooms. As a nod to the harmonious power of yin yang, the restaurant's contemporary design is juxtaposed with traditional Chinese imagery, and industrial and natural materials are both used to great effect. Upon entering the restaurant, guests will be immediately transported as they encounter an oversized yellow "Lucky Cricket" cage near the hostess stand, as well as a large-scale hand-painted dragon on the concrete floor. The 115-seat main dining room extends the street market theme with a central gold banquette positioned beneath a hanging sculpture of found fishing baskets and traps. Floor to ceiling bamboo poles are interwoven across the ceiling, ultimately creating a wall dividing the room from the tiki bar. Booths of bright red and green, both colors traditionally symbolic of luck and happiness in China, are positioned throughout, and red domed lights illuminate the space. Wooden tables and black chairs offer seating flexibility for parties of all sizes. Two tuk tuks, imported from China, will create additional focal points for the restaurant. One will be positioned on the patio, in front of the storefront which also features Lucky Cricket graphics and photos from Zimmern's travels. The second tuk tuk is in the bar area and will serve as a fun feature seat for cocktails and small plates. Lucky Cricket's 80-seat tiki bar and lounge is canopied by a thatched straw roof suspended over an L-shaped bar with a bright green top and a front of bamboo matting. Yellow high top bar chairs provide a bright counterpoint to backless swivel stools and wooden chairs. Two large Polynesian masks on the back bar cleverly disguise slushie machines on either end. Tabletops laminated with a collage of vintage tiki album covers and other memorabilia from the 40's and 50's recall the fun of pure tiki kitsch. Williston Holding Company's (WHC) newest shipyard-themed dining concept, Cargo Food Authority had its soft opening on November 20. 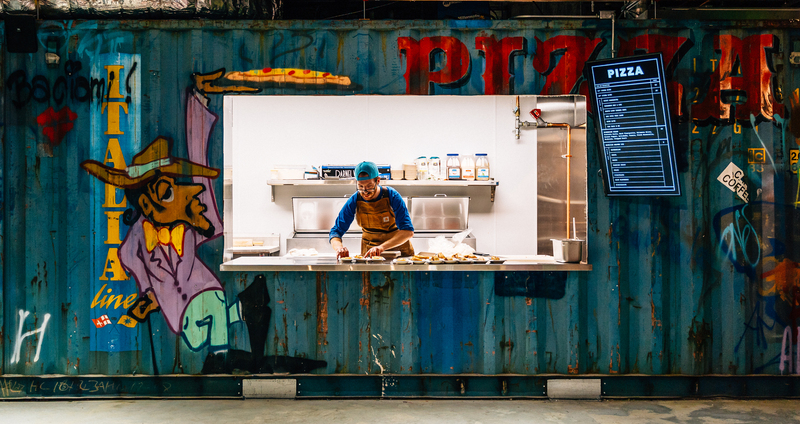 The graffiti-tagged shipping container yard turned food authority debuted in downtown Minneapolis at Target Center. 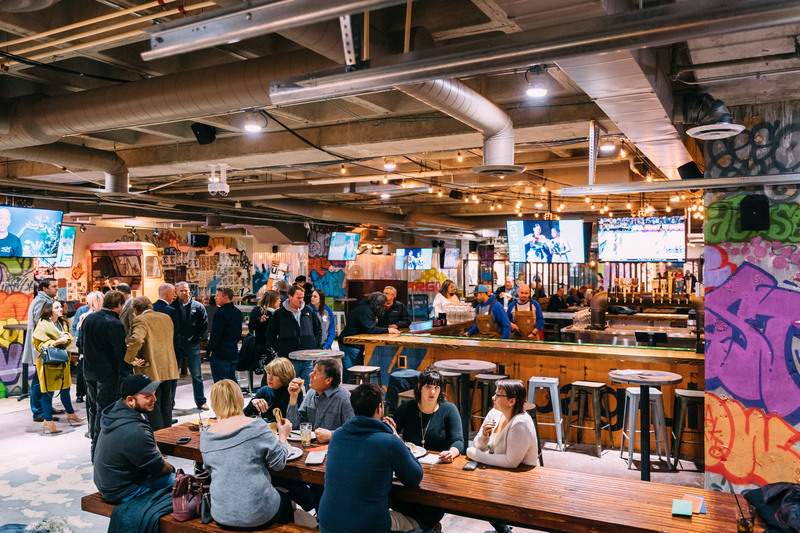 Cargo Food Authority offers international street food favorites, draft cocktails and craft brews – all in a shipping yard experience that includes pallet seating, large garage doors and industrial finishes. 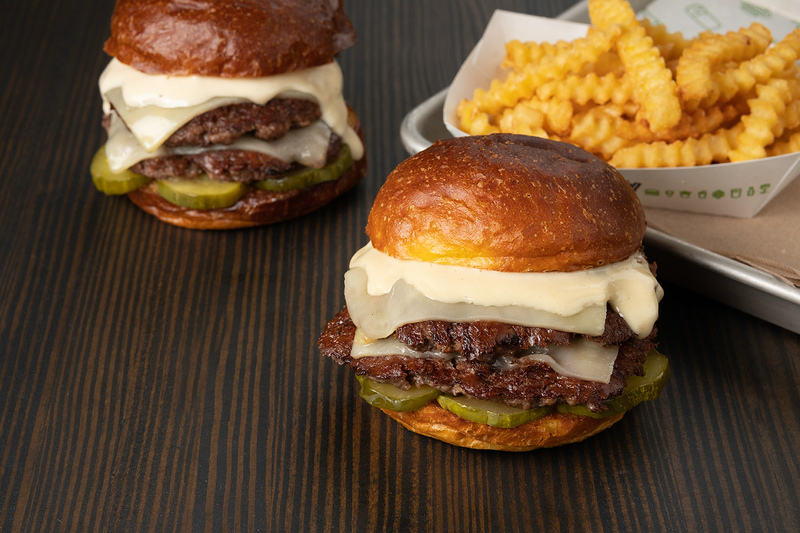 In anticipation for Shake Shack’s opening in Palo Alto at Stanford Shopping Center, their first foray into Northern California, Shake Shack announced exclusive partnerships and menu items. The Palo Alto location will open its doors with the Golden State Double, featuring 100 percent certified grassfed and finished beef from Richards Grassfed Beef in partnership with Cream Co. Meats, a Tartine Bakery sweet potato bun, white cheddar, smoked garlic aioli, and B&B pickles from McVicker’s Pickles. The team at Richards Grassfed Beef, led by rancher Carrie Richards, is committed to transparency from pasture to plate, utilizing a regenerative ranching method that supports and enhances the land, soil, and climate. Richards Grassfed Beef is supported by Cream Co. Meats who are dedicated to quality, transparency, and artistry. The team at Cream Co. curates relationships with humane and environmentally sound, family-run establishments. 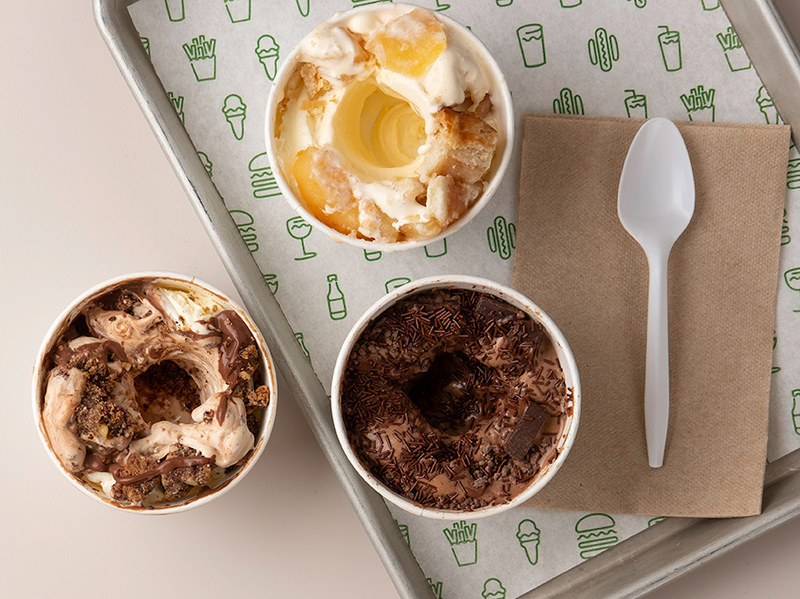 The menu will also feature three exclusive frozen custard concretes – the MB Malt, made with Manresa Bread whole wheat chocolate chip walnut cookies, vanilla custard, and fudge sauce; a special iteration of the Shack Attack featuring Dandelion Chocolate dark chocolate chunks swirled in chocolate custard, fudge sauce, chocolate truffle cookie dough, and topped with chocolate sprinkles and finally the Pie Oh My, made with vanilla custard with slice of Pie Dreams seasonal pie. Additionally, the Palo Alto Shake Shack will feature exclusive beverage partners including beer from Fort Point Beer Co.and wine from Broc Cellars, BREA Wine Company and Robert Sinskey Vineyards. 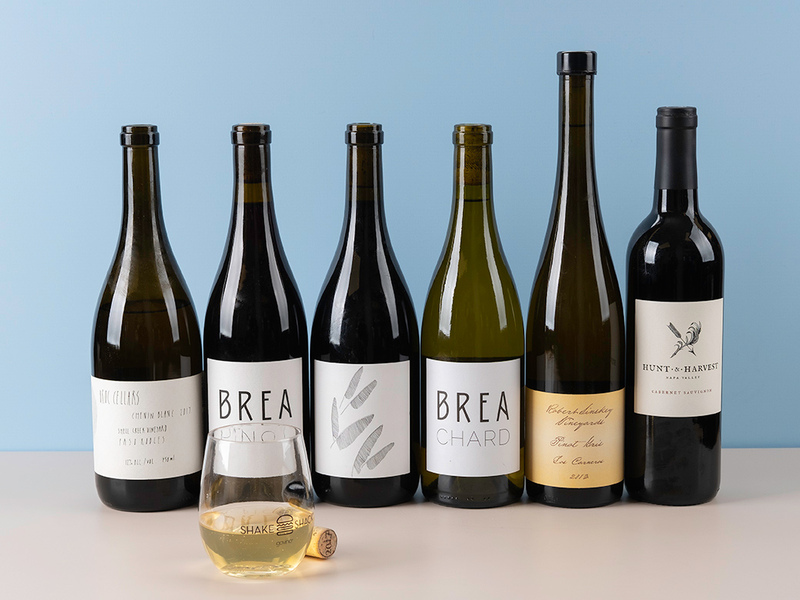 Along with bottles of Shack Red and Shack White, the Palo Alto location will feature whole bottles of these exclusive wine partners, a first for the brand. sbe and Blue Road, owner of Redbury South Beach, have officially announced the opening of Cleo to the Redbury South Beach. "We are thrilled to collaborate with Marcelo Tenenbaum and Blue Road to bring Cleo to Miami's South Beach," said Sam Nazarian, founder and CEO of sbe, "The global Cleo brand is one that we truly believe can continue to achieve tremendous growth not only in the U.S. market, but throughout Europe and the Middle East. We are proud to continue to expand the portfolio with this location on Miami Beach." Dubbed by CNN as "Best New Restaurant," Cleo was created by the acclaimed Chef Danny Elmalehand will be overseen at the South Beach location by Executive Chef Richard Bennet. "We are elated to bring Cleo, my favorite restaurant, to South Florida." said Mr. Tenenbaum. "There's absolutely nothing like it in the area, and we can't wait for Redbury's guests to enjoy this unique and amazing culinary experience in a very special setting." Cleo is a marquee culinary brand for sbe, expanding on the seven existing locations internationally, there are nearly ten locations in the pipeline globally including London, Paris and Atlanta. Cleo's evolution is a very important portion of sbe's recent and upcoming growth overall, boasting an expansive global portfolio of 175 award-winning restaurants, mixology concepts, hotels and residences with over 150 more in the pipeline for the next two years. Original ChopShop, opened its third DFW restaurant in University Park, at 6401 Hillcrest Avenue, on Nov. 16. With the restaurant’s seven locations in Arizona, this latest opening brings the chain’s total location count to 10 stores, with more growth on the immediate horizon. Original ChopShop entered the Dallas food scene just this year, opening its first restaurant in Las Colinas in April, followed by its second in Plano at The Shops at Legacy last month. Another location is planned in Plano on Preston Road early next year. Original ChopShop has partnered with Consolidated Concepts since 2015 when CEO Jason Morgan brought the cost reduction specialist firm on board to help grow the new concept. Original ChopShop has utilized Consolidated Concepts services and expertise to work on Custom Contracts, Price Verification projects, onboarding a produce management system, and negotiating a Master Distribution Agreement. Since the first restaurant opened in Old Town Scottsdale, Ariz., in 2013, Original ChopShop has provided a warm, welcoming place where guests ‘fuel their well-being’ with flavorful food made on-site from scratch with real, quality ingredients. The team at Original ChopShop is proud to offer customizable food for ‘Every/Body,’ providing a variety of dietary-friendly items for adults and children, including food free of gluten, dairy, lactose and soy, along with vegetarian and vegan options. The new restaurant at University Park will bring 30 new jobs to the area, with available positions in both the culinary and hospitality teams. Protein bowls are a core component of the menu, providing guests with three key essentials: greens, grains and proteins. The menu also offers handcrafted salads, sandwiches, acai and pitaya superfruit bowls, fresh-squeezed juices and protein shakes. Original ChopShop’s 2,675 square-foot interior at University Park will accommodate 58 guests and features the brand’s signature relaxed atmosphere, including sunny accents, distressed wood, handwritten notes and local vintage photography. SOCi, the leader in social media and reputation management for multi-location brands, today announced the findings of a joint research study in partnership with the Local Search Association (LSA). The study, conducted in August 2018, aimed to uncover the current gap between consumer usage of social media, ratings, and reviews and businesses’ understanding, of and engagement with, their online reputations. Two parallel surveys were fielded: one asking nearly 400 consumers about ratings and review usage; the other asking 315 local businesses about their perceptions of how consumers evaluated them. According to survey findings, online reputation is more important than businesses believe: 39 percent of businesses reported not recognizing that online reputations strongly influence consumer decision-making, yet 66 percent of all consumers indicated they conduct this type of pre-purchase research every or almost every time before buying a product or service. More than 80 percent of 18- to 35-year-olds indicated doing the same, showing younger generations are even more invested in understanding a company’s reputation prior to purchase. Importantly, positive online ratings/reviews are the main purchase consideration compared to any other type of information or sources factoring into a consumer decision. To decide which business to visit, respondents are almost 46% more likely to consider this information above and beyond more traditional factors like location and travel distance, discounts and promotions. The research details how important the type of research customers are doing is as well. Seven out of 10 consumers who conduct pre-purchase research also read reviews every time/almost every time they make a purchase decision. Top sites where consumers actually wrote these reviews include Google (41 percent), Facebook (41 percent), Yelp (25 percent), travel sites like TripAdvisor (22 percent), and Amazon (21 percent). Other important factors include star reviews with 54 percent of consumers reporting they like to see at least four stars to consider a business and more than half of these potential customers having passed on a business for lack of stars. In the joint study, 77 percent of consumers leaving reviews expect a business to respond to their feedback (40% of customers expect a response to a review immediately or within 24 hours). With a proactive and timely review management process, businesses have the potential to turn negative reviews and experiences into positive ones. Almost nine out of ten consumers would be willing to change a negative review depending on the business’ response to their criticism. For more information and full survey results, click here. Liberated Specialty Foods Inc. will be bringing their "Beyond Keto" food to America through their new food service distribution initiative. Liberated, which currently supplies grocers and natural food stores in approximately 40 states, has announced an initiative to begin packaging, promoting and distributing its products to food service establishments across America. The initial focus will be on its "naked" pizza crust, which claims only three net carbs for an entire eight-inch crust, and its zero-net carb cheddar crackers, in addition to nut-flour-based donuts and waffles. One of the country's fastest-growing natural food brands, and recurring taste-test winner, Liberated claims that its food goes "Beyond Paleo" and "Beyond Keto," taking these traditional diets and adapting them to make them comply with the "Specific Carbohydrate Diet" or "SCD," which focuses on making food that is comestible for those with auto-immune conditions like Crohn's and colitis. Already served in a small number of universities and restaurants, Stacey Schlaman, the founder and president of Liberated, felt like the time was right to begin a national roll-out stating, "Keto and Paleo diets have finally become mainstream in America and we felt like it was time to help food service establishments and restaurants have more inclusive menus." Liberated "single"-sized the food-service items so that they can be prepared with a separate, segregated toaster oven to avoid cross-contamination with other ingredients in the kitchen. Particularly with the pizza crust, Liberated really wanted a crust that would provide a good texture, but wouldn't over-power a restaurant's own blend of ingredients and sauce — which make their pizza and restaurant unique. Schlaman created the business and specialty food lines, which cater to those with special dietary needs, designing them to provide everyday food like pizza, crackers, chips, donuts and waffles to those suffering from auto-immune disease or food allergies, like her daughter. All food made by Liberated is gluten- and grain-free, in addition to being free of most starches and lactose. 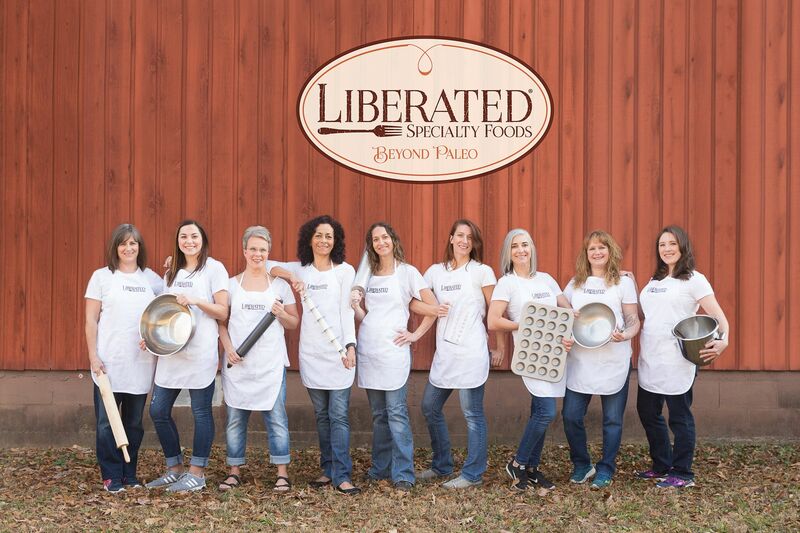 Liberated Specialty Foods operates a commercial bakery in Madison, Alabama, which is a dedicated grain- and gluten-free facility. Already Certified Paleo, Gluten-Free and Grain-Free, Liberated expects completion of its Kosher, Women Owned and GMO-Free certifications by the end of 2018. 7shifts and Lightspeed POS Inc., announced their partnership to help restaurateurs simplify labor management. With this new integration, the 7shifts network of 250,000 restaurant professionals can now use real-time sales and labor data from their Lightspeed POS to create efficient, labor-optimal staff schedules leveraging simple forecasting and scheduling tools. 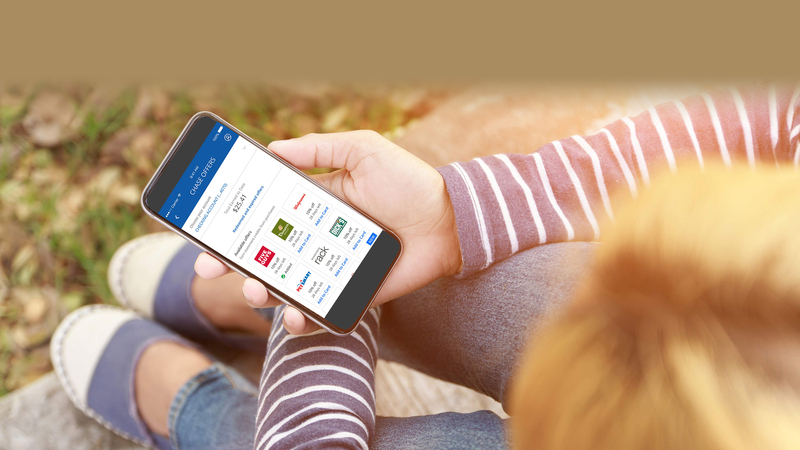 Cardlytics launched of Chase Offers, a new program for the largest bank in the U.S. Through Chase Offers, customers will receive offers that earn them statement credits on everyday purchases, with targeted digital marketing designed to drive incremental in-store and online sales for merchant partners. The launch of Chase Offers will significantly increase the scale of the Cardlytics Direct native channel just in time for the holiday season. By adding Chase to the Cardlytics platform, the company will be working with financial institutions that collectively represent $2.3T in annual consumer spend, representing two out of every five credit and debit transactions in the U.S. Through strong relationships with leading marketers across a variety of industries, including retail, restaurant, telecommunications, home services, travel, entertainment, and grocery, Cardlytics will connect brands with millions of Chase consumer debit and credit card customers. Tyme Commerce introduces Tyme TakeTech for the restaurant industry, a solution designed to radically simplify consumers' food takeout experience. 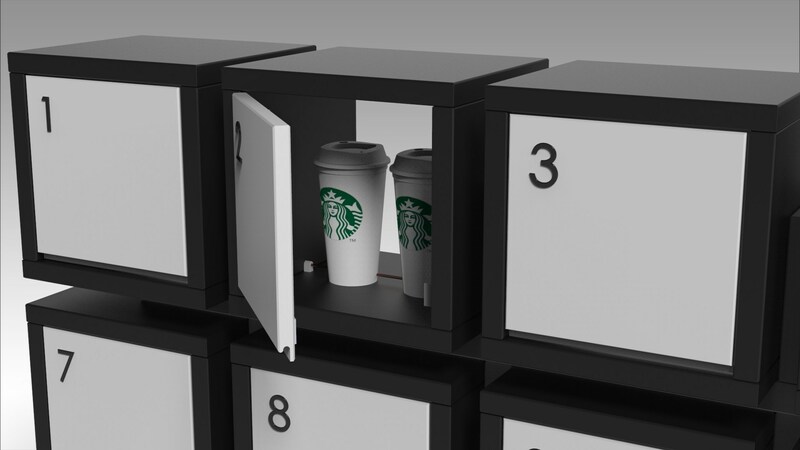 Consumers who use the Tyme app to order takeout and the Tyme TakeTech modular cubbies for pickup will spend significantly less time waiting in line and for their food. After receiving a food or drink order via the Tyme app, restaurant staff just slide the order into the designated cubby from the kitchen side and close it. Each cubby is insulated to keep cold food cold and warm food warm until customer pickup. At that time, the customer uses the Tyme app to unlock the other side of the cubby. The kitchen side of the cubby includes a digital display area with the customer's name and number of times they have ordered. This personalization helps the restaurant staff personally greet the customer or provide other perks as a thank you for their loyalty. Tyme TakeTech cubbies are modular, enabling restaurants to attach as many as needed to suit the restaurant's layout and design. Adding more cubbies is a simple matter of attaching them to the existing set – no additional electronic work required. "Tyme TakeTech will revolutionize the restaurant takeout experience by eliminating the time wasted in placing and waiting for a takeout order," says Bobby Marhamat, CEO of Tyme Commerce. "Customers who experience how fast and easy Tyme TakeTech is will put that restaurant at the top of their list for favorite food pickup places." Ocean Prime, opened its second Denver location at the Belleview Promenade Center at 8000 E. Belleview Avenue in Greenwood Village. “We’re excited to open a second Denver location of Ocean Prime in Greenwood Village today and increase the presence of Cameron Mitchell Restaurants in Colorado,” said Aaron Wesley, general manager at Ocean Prime DTC. “The Denver Tech Center area is growing rapidly and attracting more residents and relocating companies. We’re very happy to be part of this growth and to deliver our genuine hospitality to southeast Denver,” he added. Ocean Prime opened its first Denver location in Larimer Square in 2011, and guests are already familiar with the restaurant’s impeccable service, incredible prime steaks, and seafood and other made-from-scratch entrees, side dishes and handcrafted cocktails. “I’ve been with Cameron Mitchell Restaurants for over twenty years and was the original chef at our Ocean Prime Larimer Square location. I’m thrilled to come back home to Denver and can’t wait to share our fantastic menu with our guests in DTC,” said Michael Denton, executive chef. Hard Rock International will relocate Hard Rock Cafe Hollywood, currently inside the Seminole Hard Rock Hotel & Casino Hollywood, to the new restaurant and retail area of the property's expanded Hollywood complex. It will be the first finished area to open as part of the $1.5 billion revamp of Seminole Hard Rock Hotel & Casino Hollywood. The cafe will be a model for the brand's redesign and modern kitchen offerings. "Hard Rock Cafe Hollywood has served guests from all around the world for more than 14 years," said Stephen K. Judge, President of Cafe Operations for Hard Rock International. "The soon to be opened cafe will showcase the modern progression of our restaurants and the future of the Hard Rock Cafe brand. This location is of great significance to Hard Rock and the Seminole Tribe of Florida, which is why we are so excited to share our brand's new design style first with our Hollywood guests." "Hard Rock Cafe Hollywood is leading the way for our incredible growth at the Seminole Hard Rock Hotel & Casino Hollywood complex," said Auggie Cipollini, President of Seminole Hard Rock Hotel & Casino Hollywood. "The cafe will be the first restaurant to open as part of the expansion project and will be joined by the first finished portion of the new casino complex." Easy access to the new Cafe and expanded casino will be adjacent to the existing Player's Club location and food court in the northeast corner of the existing casino. The new cafe will occupy 10,000-square-feet and seat more than 250 guests. The restaurant will feature an open kitchen concept with cutting-edge equipment, including a new 7-foot artisanal brick pizza oven and a meat grind room, where Hard Rock Cafe's new steak burgers will be made fresh daily throughout the day. True to Hard Rock's signature blend of music, entertainment and iconic merchandise, the newly-relocated cafe will include a triangular-shaped island bar and central stage within view of all dining tables. The cafe will also include a new Rock Shop design. On Friday, November 23, the first 15,000 customers to place a DoorDash order of $5 or more from the below restaurants using the code BLACKFRYDAY will receive free fries! London has become a city without a bell due to Big Ben's construction, but thanks to Taco Bell, that's no longer the case. 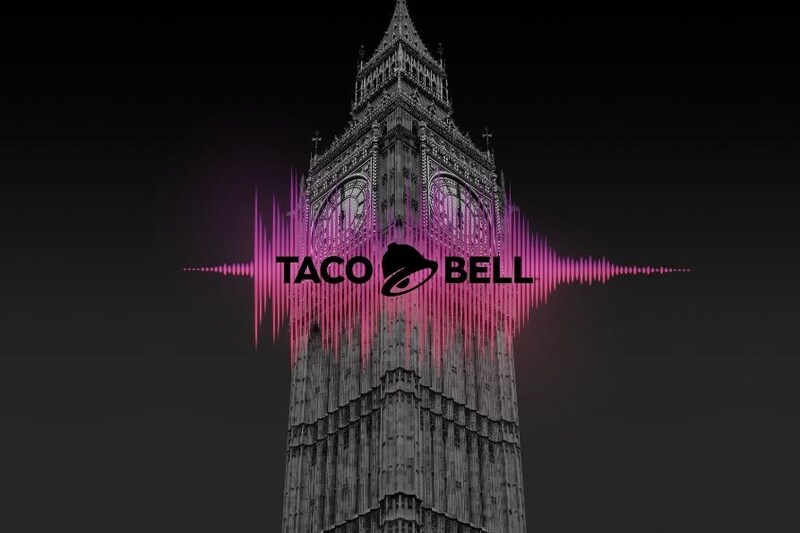 Taco Bell chimed in with a sound that London has been missing for over a year: Big Ben's bells. As the infamous clock is under scaffolding for reconstruction, Big Ben's popular chimes have also been under wraps. Taco Bell seized the opportunity to surprise and delight Londoners with a sound of their own: its signature bell digitized to recreate the Westminster chimes. The move marks the restaurant's entry into London, one of the brand's most requested cities for entry. The first London Taco Bell, located in the Hammersmith district, opens November 23, and based on recent U.K. openings that have received tremendous fanfare, it's sure to have hundreds of fans lining up for blocks. "Restoring Big Ben's bell with our bell was the perfect way to introduce ourselves to London in a way only Taco Bell can," said Marisa Thalberg, Taco Bell Global Chief Brand Officer. "We don't take ourselves too seriously and have been known to play a prank or two. We hope our unique twist on Big Ben's chimes brought surprise and humor to Londoners; this was our little arrival gift as we gratefully show up on London's doorstep." To create this new take on the chimes, the brand worked with an audio engineer to compose the chimes out of Taco Bell's iconic bell. The chimes were blasted through parametric speakers in the area surrounding Big Ben on November 19, causing quite the stir among Londoners days before Taco Bell's first London restaurant opening. "We've had our sights set on London for quite some time, and as we continue growing internationally, we're excited to bring Taco Bell to one of the world's largest cities – and one of our most-requested markets," said Liz Williams, President, Taco Bell International. 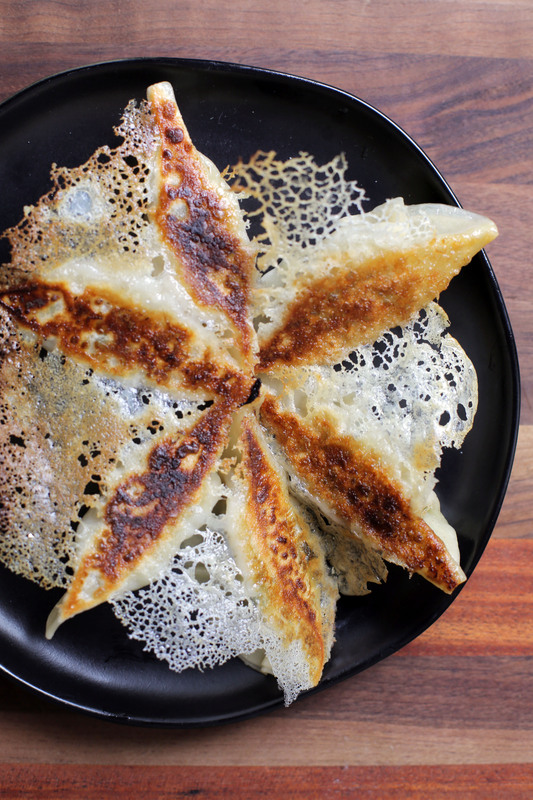 "We've seen an overwhelmingly positive response to our U.K. restaurants, and have ambitious plans for growth in London and the broader U.K., targeting more than 30 U.K. restaurants by the end of the year." The London restaurants will feature modern designs, open-kitchen concepts, artwork from local artists, complimentary WiFi and outlets for charging devices, inviting guests to stay and socialize over their meal. Menu items will include craveable classics from Taco Bell's U.S. menu, U.K. specific items such as delicious churros with dipping sauces, Twisted Freezes, beer, and specials such as happy hours, Taco Tuesday featuring a taco and a Sol beer for £2 and a 'Cravers' value menu.